On the 21st of October 2011 I went to the Photography and the Artist’s Book Symposium, a collaboration between Salford School of Art & Design at the University of Salford,Hot Bed Press and Manchester Metropolitan University Special Collections, which is where it was also held. Although my interest is not really concerned with photography, there were some very thought provoking presentations. 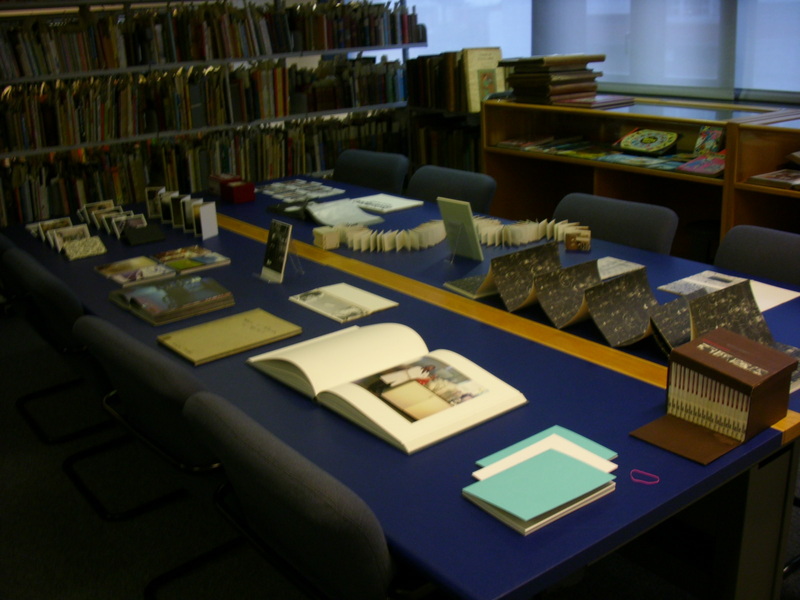 For example, Jane Pendlebury from MMU Special Collections gave a brief history of this artist’s book collection and explained how until the 70s the artist’s books were treated as normal stock. Only later were they catalogued with a separate sequence and treated as the objects/artifacts they are now considered. The event made me think a lot about juxtaposition of images, sequencing, scale, the intimacy of the small (book) object and the physical act of turning the pages (or unfolding a sheet, etc) and the suspense that builds. Most interesting in the context of my own research was PhD candidate David Penny, who uses a book format to represent his practice-as-research, a working document that rather than illustrating theory is part of his research in so much he considers the rough models he works with as part of his outcomes. He explained that it was the physical making that has been particularly useful for him, because it let him spend times with the images themselves. (I hope to interview David in future to find out more about his experiences, so watch this space). 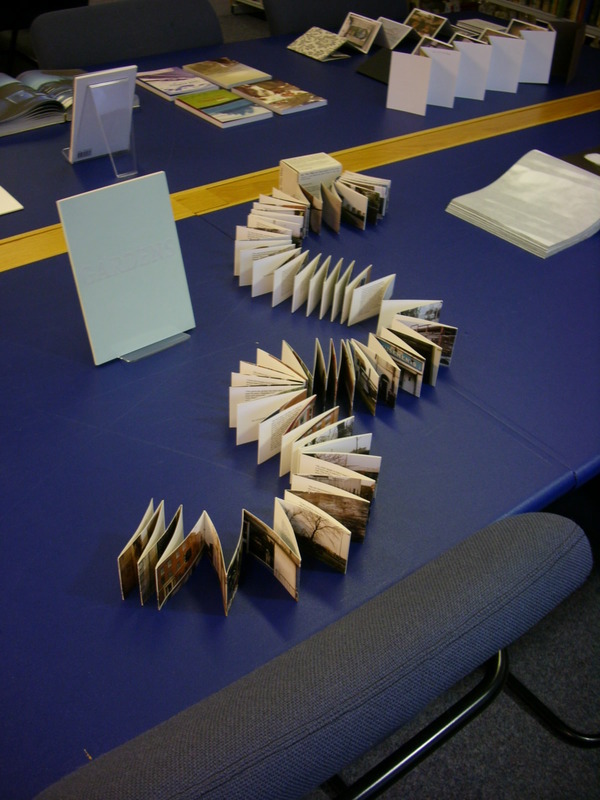 As the symposium was located in the MMU Special Collections space, there was ample time to browse the Artist’s Book collection, and some of the books that featured in the presentations were laid out so that participants could have a closer look. Object-based learning can engage students that may find formal teaching situations difficult. It offers a different way of teaching, and of learning, and uses different kinds of intelligence. Students can draw their own conclusions, can ‘discover’ answers, rather than just receive ideas from academics. It can enrich course/lecture content, which is particularly useful if you are trying to attract new students! The physicality of an object, seeing something in the flesh, so to speak, can be the only way to appreciate or understand form, texture and difference: for instance, how do you know the difference between a woodblock print and an etching if you haven’t seen these up close? This is particularly true for contextual and historical studies in Art & Design. 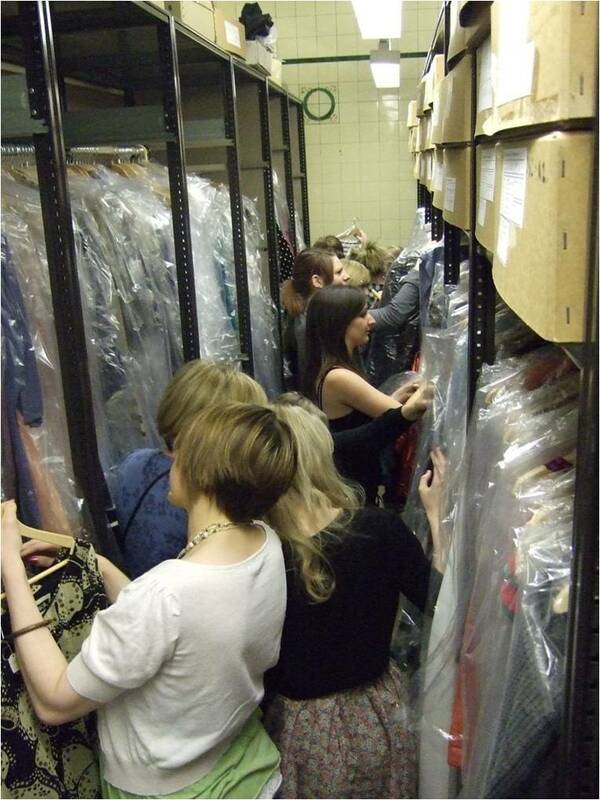 In our setting at MMU, it allows access to other professions, ie curators and archivists and different knowledge systems, and can offer students an insight and experience of how we work with artefacts. It is also outside the “classroom”, so can be more relaxed, and even privileged, as students can actually handle museum objects. Students can develop key skills and learn new ones: such as how to observe, record, assess and analyse and question an object; it encourages critical thinking, and allows students to use prior knowledge and build confidence. When working in groups it builds on team working skills, communication, presenting, listening, learning from peers and confidence building, particularly as students can implement and pass on prior knowledge and be in a situation where all ideas are acceptable. OBL can encourage discussion and debate: would a Chinese artefact be documented or interpreted differently in China? Why have a light fitting from Habitat in the collections when it is so readily available on the high street and has little monetary worth? It can also inspire creativity: writing, new artworks, etc. This is hugely important for practical arts students, as the stages between encountering an object and developing your interaction and response into a design/application and how you justify and record them that are extremely important for makers, (and for assessors! ).